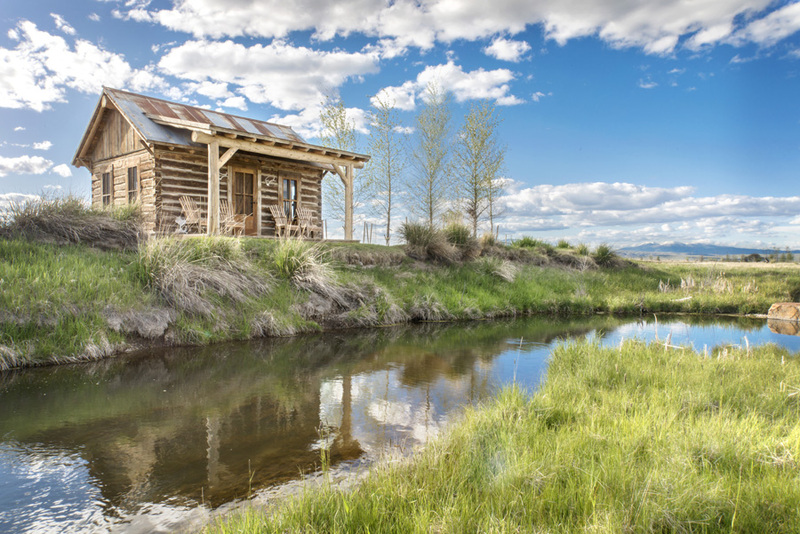 If you’ve ever wondered what the perfect riverside dream cabin might look like, this is it! 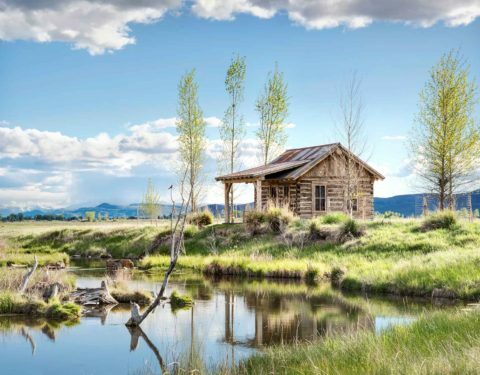 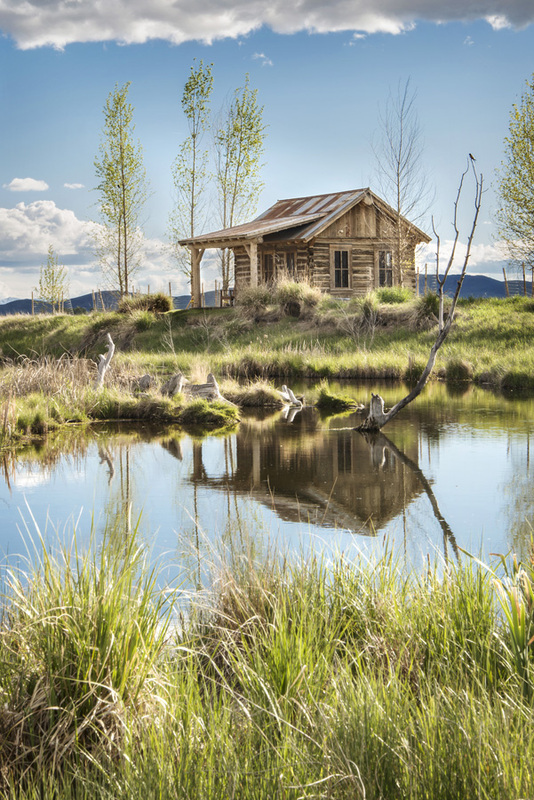 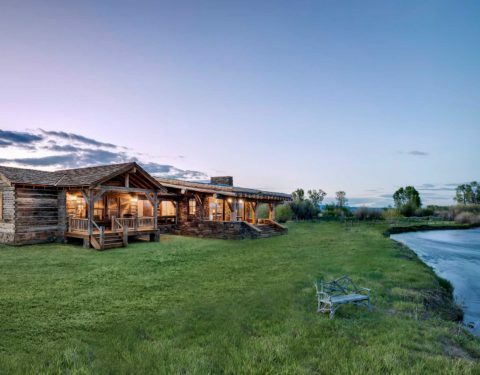 As the title implies, this unique, faux-log custom cabin, backs right onto the Beaverhead River. 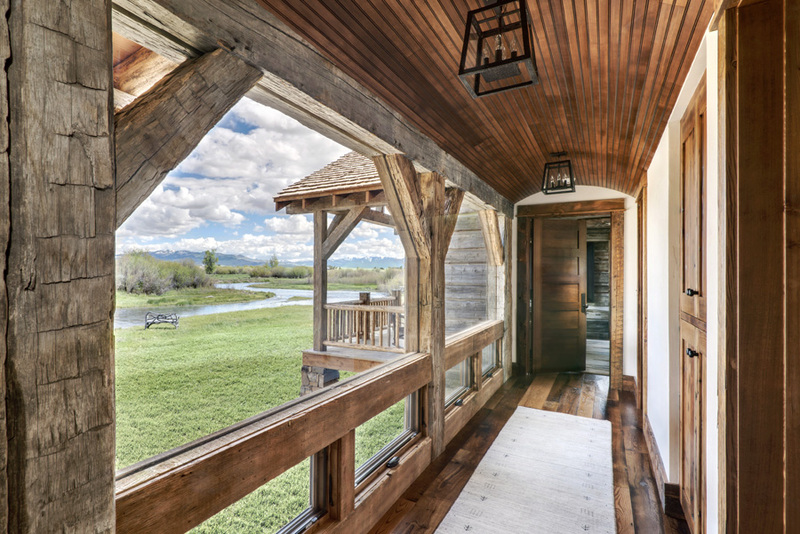 Both the master bedroom and living room provide front row views from their screened-in decks, perched within yards of the water’s edge. 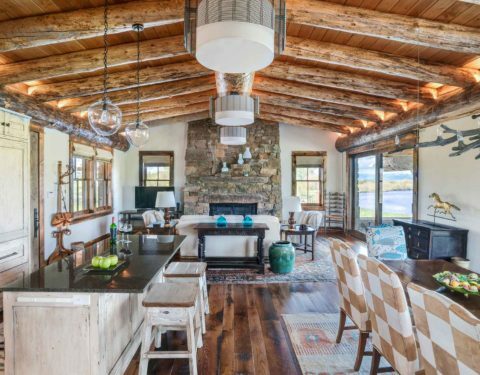 After a full day of fishing, owners can prepare the catch of the day in their gorgeous farmhouse kitchen. 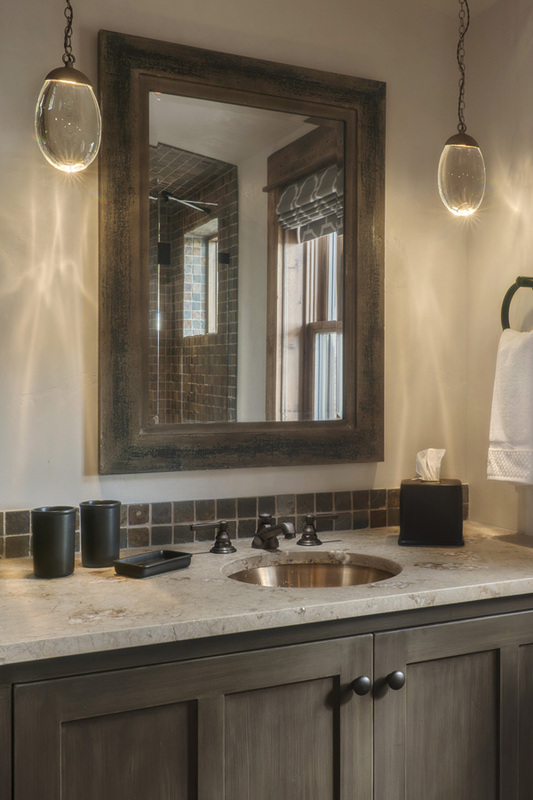 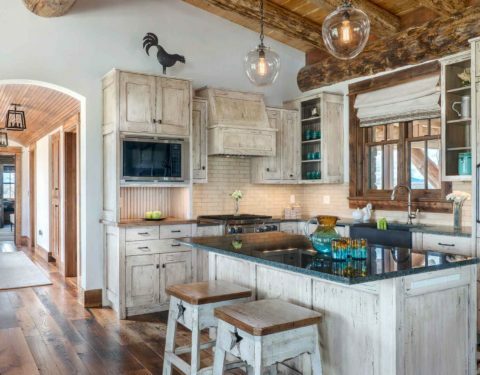 From main features like the deep distressed charm of the cabinets to the eggshell subway tile backsplash, to the smallest details like the section of butcher block counter and hidden refrigerator, this space embodies a vintage feel with modern amenities. 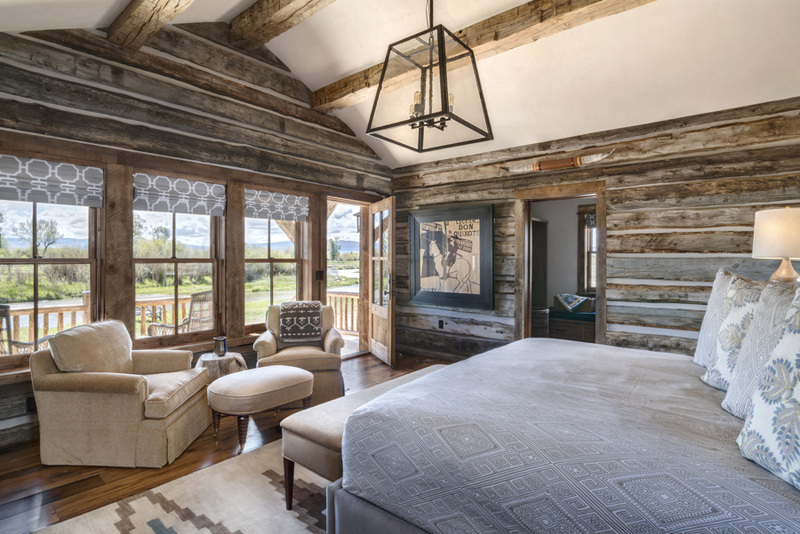 This custom cabin champions use of coordinating wood elements. 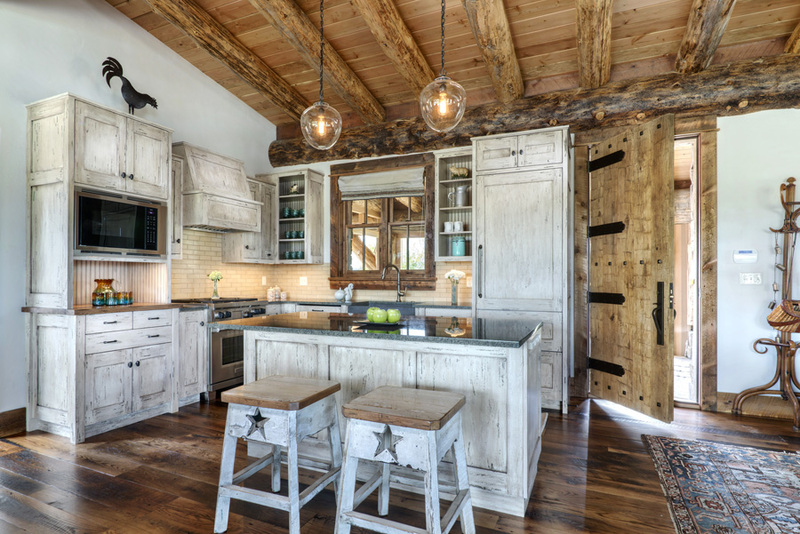 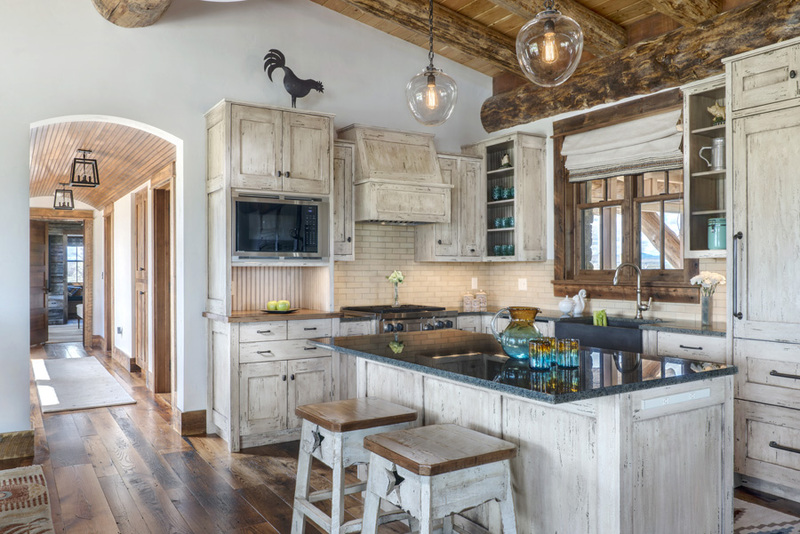 A variety of subtle hues blend throughout the beautifully reclaimed floors, each nuance in its timber matched by the sturdy logs supporting the tongue and groove ceiling above the open concept kitchen-dining-family room spaces. 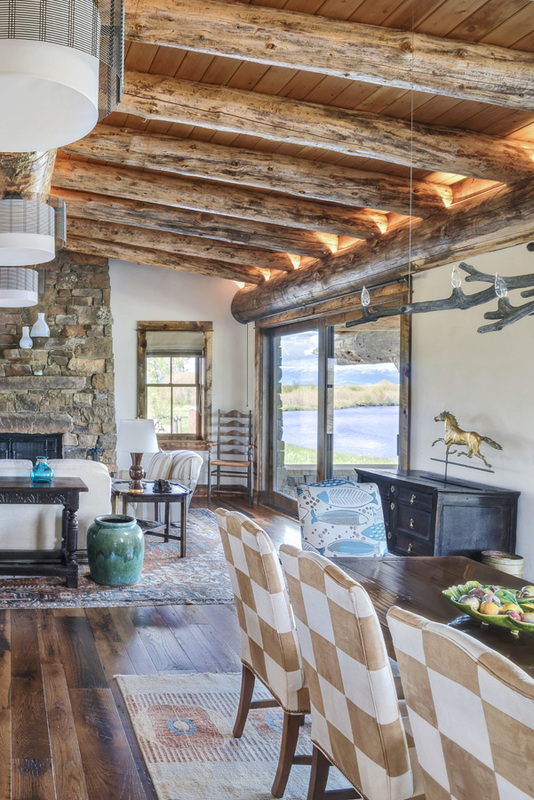 A custom-crafted arched ceiling crowns a sunlit, windowed walkway separating the main living area from a more secluded master retreat. 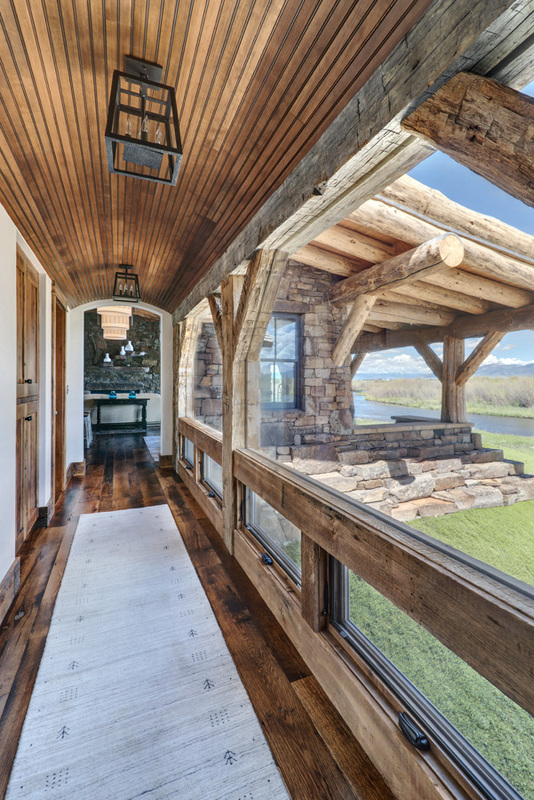 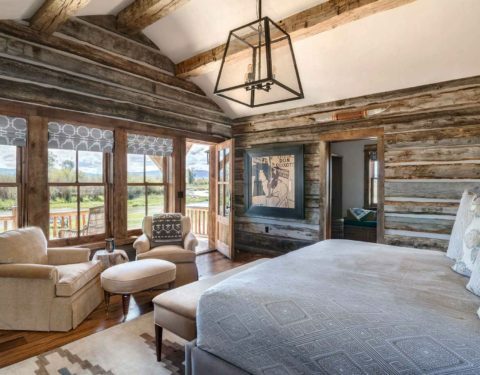 The exterior walls display a hand-hewn lumber siding, a popular material contributing to a modern log home look but with greater efficiencies. 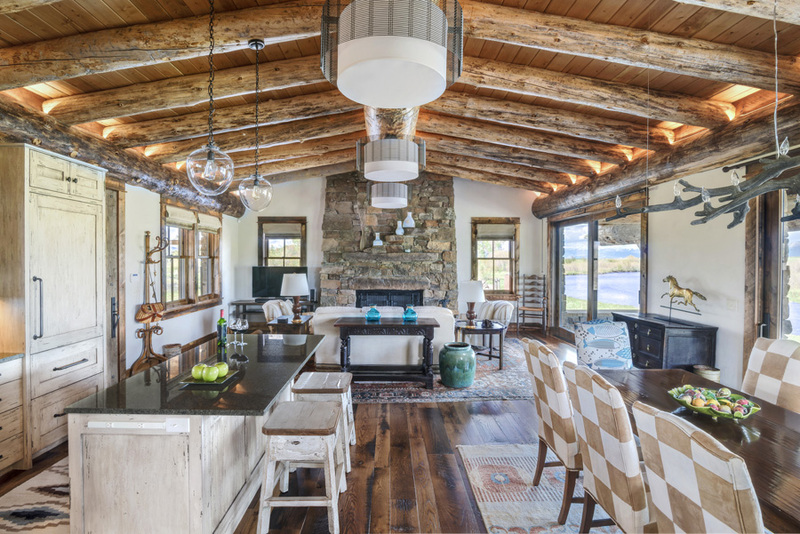 This theme continues inside as an eye-catching feature on various walls in the home, and also decorates the one-room cabin around the bend. 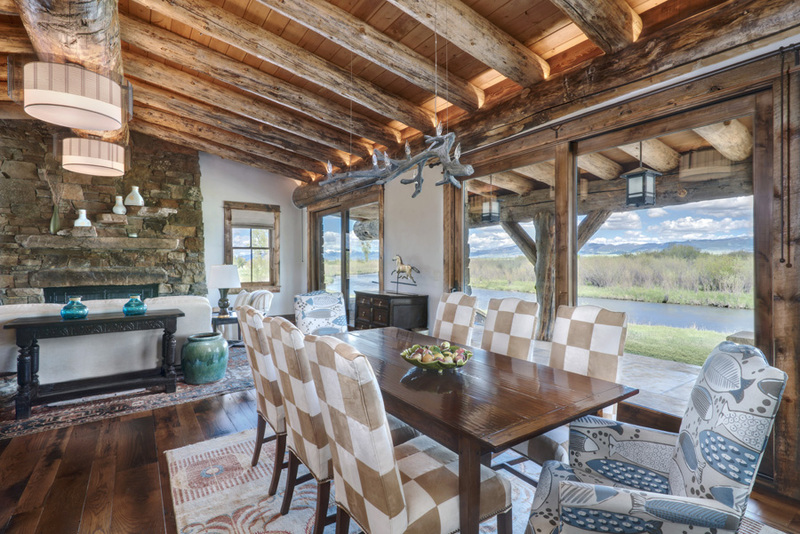 A feature that truly distinguishes this dwelling from similar luxury mountain homes is the sod roof that spans the entire home. 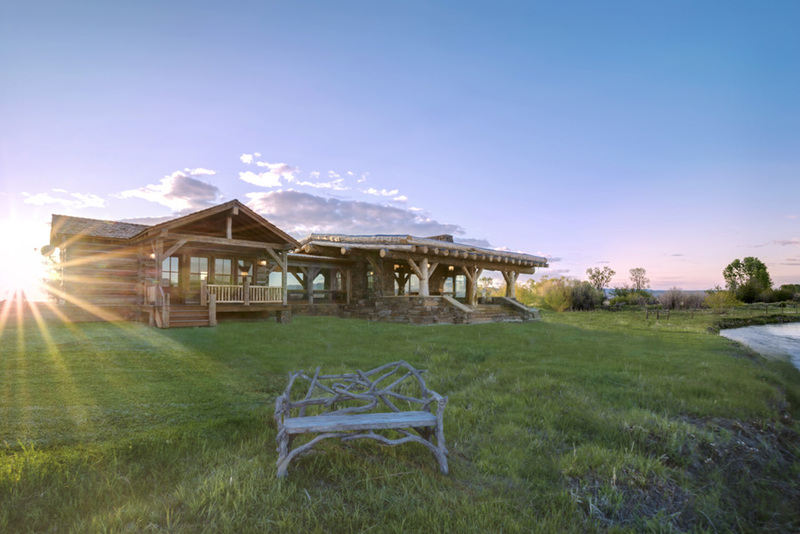 The grassy rooftop is a low-maintenance, environmentally-friendly building option that complements the surrounding wilderness. 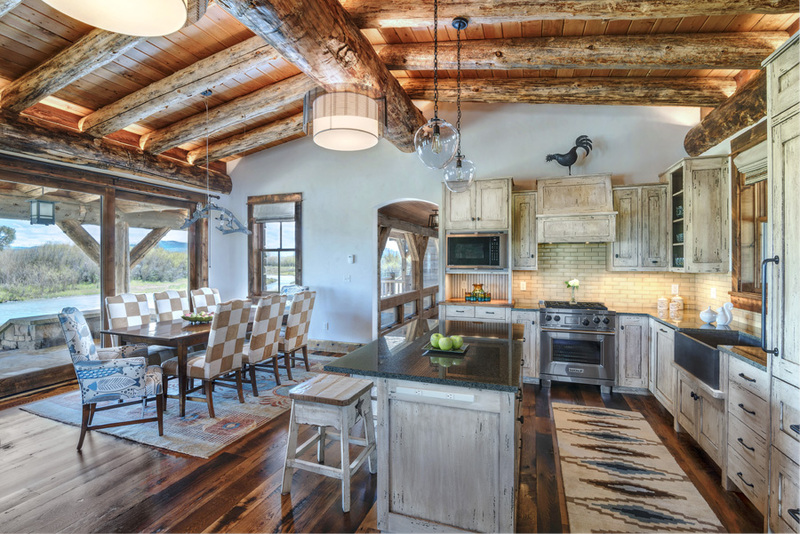 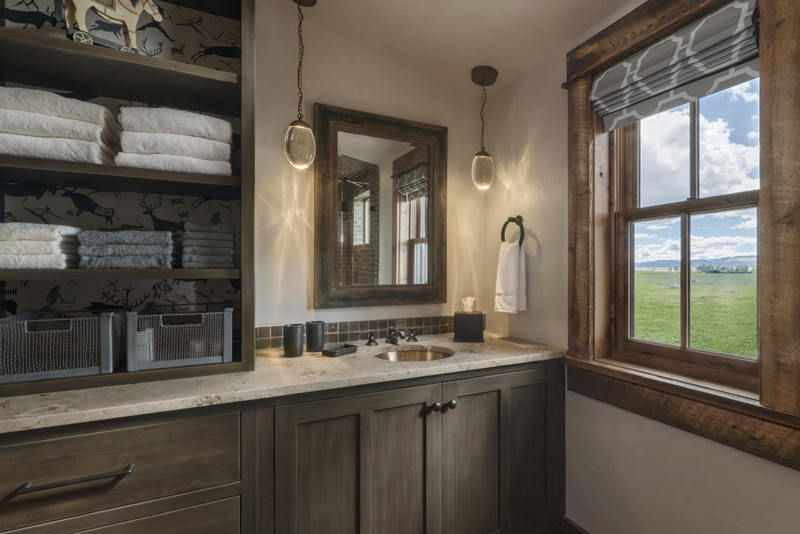 Whether the owners visit once a year or every chance they get, this haven will continually have them falling in love with Big Sky country.